The Grow Your Team, Earn Your Dream incentive has closed. Please see below to review requirements and rewards. Plus add 20 new Members*, Distributors*, or Qualified Distributors to your team. Qualifiers will also earn a set of special edition, custom Shaklee luggage that includes two rolling suitcases, perfect for jet setting in style. Didn’t attend Global Conference 2018? You can STILL participate in the incentive and qualify to earn a set of special edition, custom Shaklee luggage! Now is the time to take advantage of the new tools, products, and technology we launched at Global Conference to help you grow your business, qualify for this unique experience, and set the stage for future growth! Must be a Paid As Director or higher in December 2018. *With a minimum product order size of $50 or more. **Your PGV base is the cumulative PGV for the five-month period of March – July 2018. If you are new to Shaklee after July 2018, your base will be set at zero. Personally Sponsor three New Qualified Distributors with Success Pack purchase. Enroll 20 New Members, Distributors, or Qualified Distributors in your Personal Group (at least five of which are Personally Sponsored). Generate 5,000 in incremental PGV between August 1 – December 31, 2018 compared to your PGV between March 1- July 31, 2018. Be a Paid As Director or higher rank in December 2018. Anyone that attended the 2018 Shaklee Global Conference in Las Vegas and is the rank of Director or above in December 2018 (not in VGM or Waiver). If you didn’t attend conference, you are still eligible for the Shaklee Luggage Set! Complete the same qualifications by December 31, 2018 and be the rank of Director or above in December 2018 (not in VGM or Waiver) to qualify. All Incentive Qualifiers must then hold the rank of Director or above (with no VGM’s or Waivers) from December through the month of the trip (March 2019 PV Month). Your PGV base is the cumulative PGV for the five-month period of March – July 2018. New to Shaklee after July 2018? Your base will be set at zero. Example: Distributor Robin had a total cumulative PGV of 3,000 between March 1 and July 31, 2018. She must generate 5,000 PGV in incremental growth to qualify for this incentive; therefore, she must have a total of 8,000 PGV generated between August 1 and December 31, 2018, in addition to the sponsoring requirements. Your Incentive PGV is your cumulative PGV for the five-month period of August 1 – December 31, 2018. PGV from First Generation Business Leaders promoted during the qualification period will continue to count for the incentive. The First-Generation Director breakout can be a new or re-appointed Business Leader after July PV month. We will include their PGV for as long as they maintain a Business Leader rank during the incentive period. This PGV will be added to your Incentive PGV on the tracker monthly, but not for bonus purposes. Example: On August 1, 2018, Mary holds the rank of Director. She is working with Susan who will promote to Director on October 1st. The PGV that is generated from Susan’s Personal Group in November and December will continue to count under Mary’s PGV for this incentive program only. Who counts towards my sponsoring requirements? You must personally sponsor 3 New Qualified Distributors during the incentive qualification period. A Qualified Distributor is a person who joins with a $49.95 Distributor Kit and purchases one or more Success Packs (or pays the $150 fee). Additionally, enroll 20 new Members, Distributors or Qualified Distributors in your Personal Group with a minimum product order size of $50 or more (at least 5 of which must be Personally Sponsored). Your “Grow Your Team, Earn Your Dream” Tracker is the place to find this information. Go to EarnYourDreamWithShaklee.com (external link) to see the tracker, follow your progress, and find your personalized base and goals. Your tracker will be updated often, but your PGV goals will only be updated monthly. Your Log-In is your “Shaklee ID” (ALL CAPS) and the password is “Dream2018”. The tracker will be available to all Distributors and Business Leaders on August 17, 2018. Are you a 2018 Conference Attendee? You will qualify for the 2019 Dream Incentive Cruise for one person in a shared cabin, plus transportation to/from Miami International Airport and the Cruise Ship Terminal. While airfare is not included, a new Shaklee Luggage set is, so your belongings will be rolling to the Cruise in style. The Luggage Set includes two rolling suitcases – one large, 32 inch suitcase and a carry-on, 21 inch version. 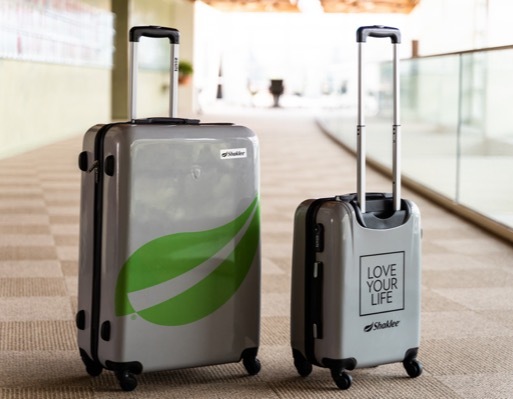 If you didn’t attend the 2018 Shaklee Global Conference, you will be one of the first to qualify for the Exclusive Shaklee Luggage Set. The Exclusive Shaklee Luggage Set will be shipped to the qualifiers address on file in February 2019. The 5,000 Incremental PGV increase must be new volume. Therefore, the PGV of Business Leaders who revert (August – December 2018) and whose volume rolls up to you during the qualification period will not count. The company will not permit any reorganization or sponsorship line movement to aide in the incentive qualification. Attendee must be on record with Shaklee as a member of the qualifying distributorship. Trip awards are non-transferrable and must be taken in the year earned. The qualifier must provide Shaklee with their Flight Itinerary (booked on their own) by March 31, 2019. We will provide a way for the qualifier to select cabin roommates (so get others from your group to qualify). We will do our best to accommodate all requests and if you do not have a preference we will assign a roommate. Buy-ins for a second person in your cabin will be offered based on availability. Pricing information will be provided to the qualifiers (after the incentive completion). What if someone qualifies for the cruise through both the Grow Your Team, Earn Your Dream Incentive and the 2018 – 2019 Shaklee Dream Incentive Trip? 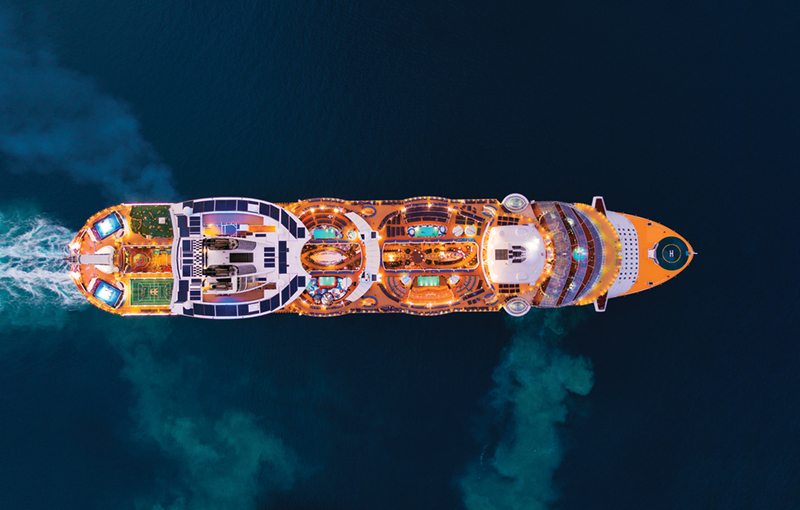 They will receive the higher of the two Cruise rewards which would be based on their 2018 – 2019 Dream Incentive Point Qualifications. The only additional reward they will receive is the Exclusive Shaklee Luggage Set. Are you a Key Coordinator or Above? Grow Your Team, Earn Your Dream incentive qualifiers will not count for the 2018 – 2019 Dream Incentive Leadership Category.